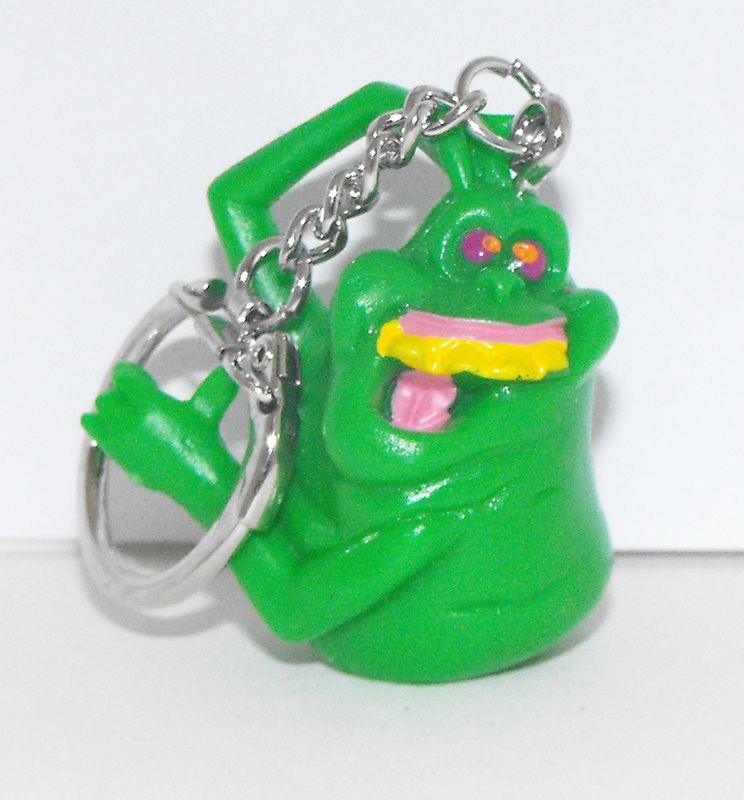 This Ghost Buster's Slimer Vintage Figure is 1 1/2 inches (4cm) tall and is made of PVC plastic. Markings on figure: 1984 Columbia Pictures Industries 1984 PT Holding Inc All Rights Reserved. The key chain part is made out of metal.